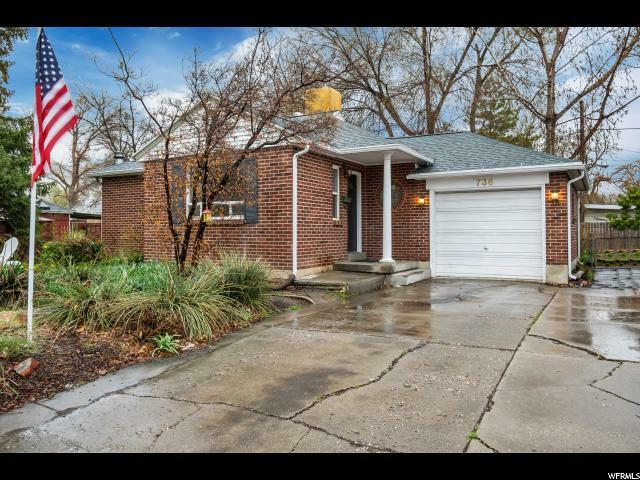 All ROSEPARK homes currently listed for sale in Salt Lake City as of 04/21/2019 are shown below. You can change the search criteria at any time by pressing the 'Change Search' button below. "Looking for a gem? Look no further! A quaint cottage with many upgrades can be yours! This freshly painted blank canvas is ready for you to create your special space for your family. The kitchen's new counter-tops and back-splash gives this home the perfect ambiance to enjoy meals with friends and family. The updated 27 year water proof flooring can cover the pitter patters of tiny feet and any memory making that it endures. With the new vinyl windows and new roof, you can have peace of mind of being protected by the elements. The yard is environmentally friendly with beautiful Xeriscaped. Looking for extra parking? Check!! Large RV parking pad for toys or your traveling home. The new light fixtures and updated bathroom is the cherry on top. This home is move in ready! Square footage figures are provided as a courtesy estimate only. Buyer is advised to obtain an independent measurement."